This is the cute moment two chinchillas kissed each other to mark Valentine's Day. In the video, filmed in London on February 14, the 18-month-old grey chinchilla Little Coalball suddenly stretches his head to the one-year-old Little Snowball standing on the shelf and gives her a kiss. 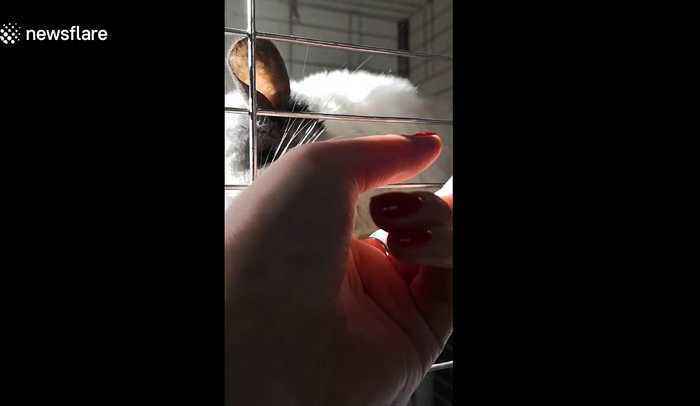 According to the owner, the two chinchillas were enjoying the sunshine in their cage and she was making her daily shooting of them. The owner said the chinchillas normally do not kiss. "Seriously, do I have to see this on Valentine's Day?" She said.